Weighing up short-term economic gains against long-term environmental costs is always a thorny issue in geopolitics. But when the profits are reaped in one country and the ecological costs are suffered in another, then it’s all the more problematic. There are few better examples than the controversial hydroelectric dams planned for the Mekong River – particularly the Xayaburi Dam in northern Laos, which campaigners say could devastate fish stocks in Cambodia and Vietnam by blocking migration routes, and may lead to the extinction of critical species like the giant Mekong catfish and Irrawaddy dolphin. 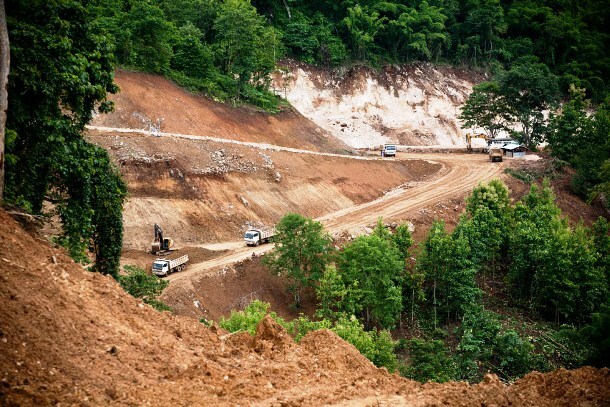 In a worrying development, it appears Thailand’s CH Karnchang is ploughing ahead with construction of the $3.5bn site despite regional agreements that no work should take place until more environmental research is done into the likely impact on the 60 million people living in the Lower Mekong area. On Tuesday, the development company’s chief executive Plew Trivisvavet informed the Thai Stock Exchange that its subsidiary Karnchang (Lao) had signed a contract with the Xayaburi Power Company (conveniently, another subsidiary of CH Karnchang) – and construction work was scheduled to begin on March 15 last month. At the time of writing, the Cambodian government said it was trying to get confirmation from Laos that the dam was going ahead, and that the need for further study agreed by the four members of the Mekong River Commission (MRC) – Thailand, Cambodia, Laos and Vietnam – last December had been ignored. Officials again warned of the huge environmental costs the project is likely to bring to Cambodia and its future generations, and stressed the need for more research to be carried out.